We were notified by our bank (name of bank and Branch) that the check you sent to us in the amount of (Money Amount) was returned for insufficient funds. 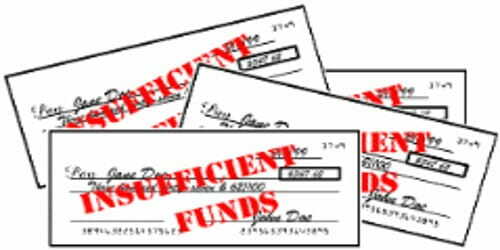 We have been advised that the reason is that there are insufficient funds in your account to cover the payment amount of (Money amount), cheque number (123456789). (Describe in your own words). In order for your account to remain open with us, we kindly request that you find an alternate method of payment within the next 2/3 working days. (Describe bank’s rules and regulations). Due to the circumstances, we are only able to accept payment via money order, bankers cheque, certified cheque, or should you prefer to pay over the phone via credit card, please call our dedicated late payments telephone line on (******) where someone will be able to assist you further. (Explain the actual cause and situation). We understand that there may have been a bank error in which case, we sincerely apologize for any inconvenience caused and would appreciate if you would please call us to explain and proceed with payment immediately. (Describe your requirements). We wish to endeavor to keep your account within good credit ratings now and for the future.